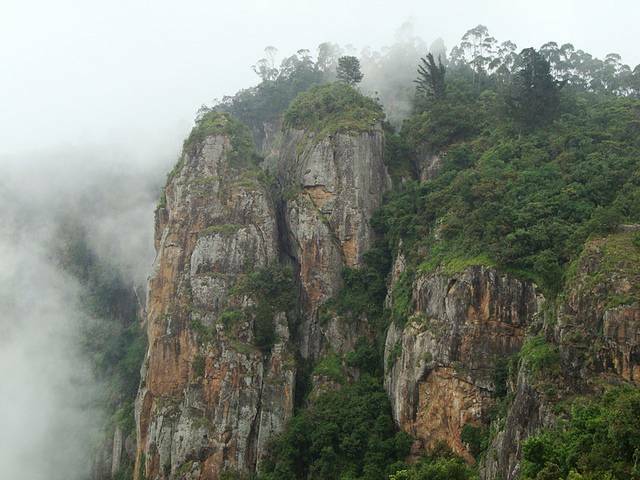 Pillar Rocks are located at 7.4 km from Kodai Lake. Tourists can see three huge rocks measuring 122m stands up and straight from shoulder to shoulder vertically. It is one of the most famous attractions of Kodaikanal. There is also a mini Garden in this place. The Pillar Rocks are a photographer's paradise, and when there is no fog in the mornings one can see many people clicking pictures.